This package is for foreign companies that need to incorporate a Singapore branch office and relocate staff to the country. Foreign companies that plan to relocate any of their staff from the head office to Singapore must complete the branch office registration first. After which, they may apply for the Employment Pass. Successfully form a Singapore branch office with the right advice and work visa. 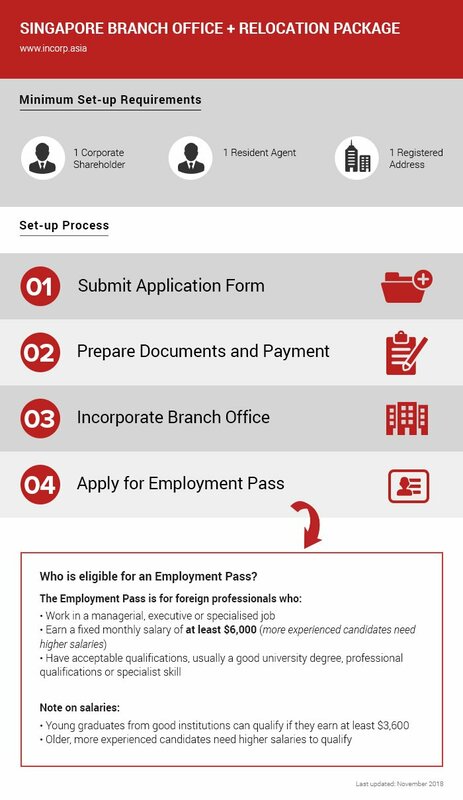 We’re here to help you form a Singapore branch office fast and guide you through the immigration process.